This TRULY is the best place to live in Aurora. Well maintained... with Friendly on-site staff. 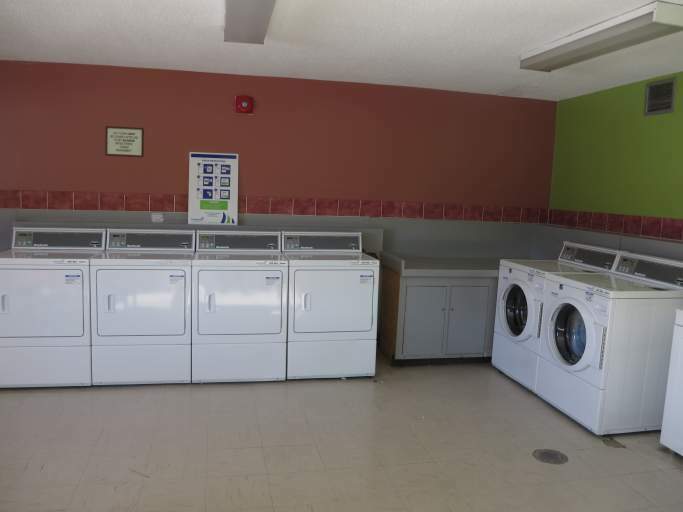 Laundry room is on-site... a bright spacious room to do your laundry in. This truly is a well maintained building - owners who care and responsive management. Millwell Property is located only 2 blocks from Yonge Street where you will find banks, shops and restaurants. Transportation access is ideal with local buses and VIVA right on Wellingtong and GO trains and buses are just steps away. There is bus stop right on Wellington. GO transit (trains and busese). Please check the links on our google maps that will highlight exactly where all the amenities are located. Please call Kathy at 905-841-1837 to book an appointment. Check our what Aurora has to offer your family using the link below. Aurora a good place to live... a wonderful community. 30 minutes north of Toronto and central in York region. Great schools and entertainment are available to you. There is a 20 acre park right a cross the street from Millwell - with baseball diamond, playground, shade structure, tennis, and washroom facilities. From that park it leads to another park that has 15 acres with soccer and an ice rink in the winter. Truly... close to outdoor fun! Please use the link below and discover what Aurora has to offer ... and how Millwell is just steps away from it.